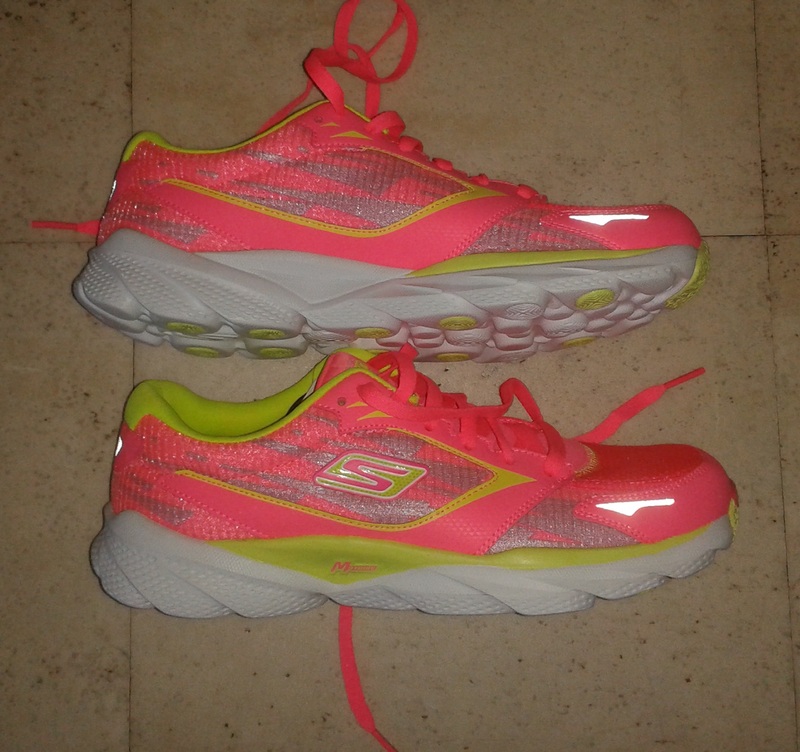 I really like the Skechers GOrun Ultra and therefore I decided to give the Skechers GOrun Ride 3 a go. The GOrun Ultra is the most cushioned shoe in the GOrun series by Skechers and while the GRR3 has a little less cushioning, it has still a little more than your average running shoe. Just as in the GOrun Ultra, I like that the toe box stretches easily which makes running more comfortable and I also like the look of the shoe (it’s pink, so what’s not to love?). It has a 6.8 mm heel to forefoot drop with the heel being 27.6 mm and the forefoot 20.8 mm. 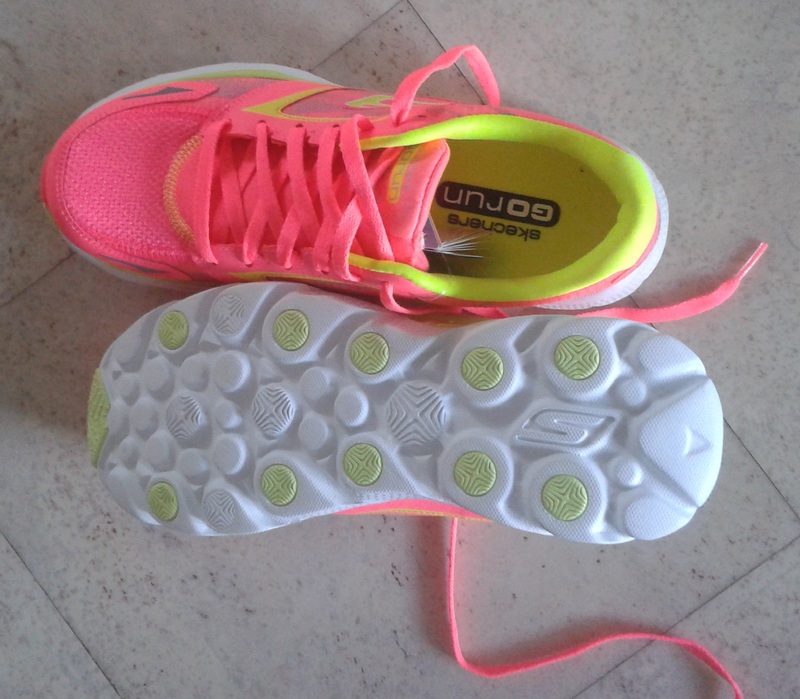 The GOrun Ride 3 has quite some cushioning, but for me it isn’t enough, unfortunately. I can only go on short runs with these shoes. Obviously, that is a totally personal preference. I’m the kind of person that likes and needs maximum cushioning, but if you prefer some cushioning and still want to have some ground feel and are looking for a light weight shoe, than this might be the right shoe for you. And not only are they light weight, they also come at a light price: €75. I like the look of the GRR3 better than that of the GRU, but the GRU2 is coming out soon and hopefully those will look a bit more spiffy. Although I haven’t logged that much KM on them, the soles of the GRR3 do seem to last a little better than the GRUs due to the rubber dots on the outer sole of the GRR3. Although I like the GRR3 and there is nothing negative to say about these shoes, I don’t love them, and that is mainly because the cushioning just is not enough for me. 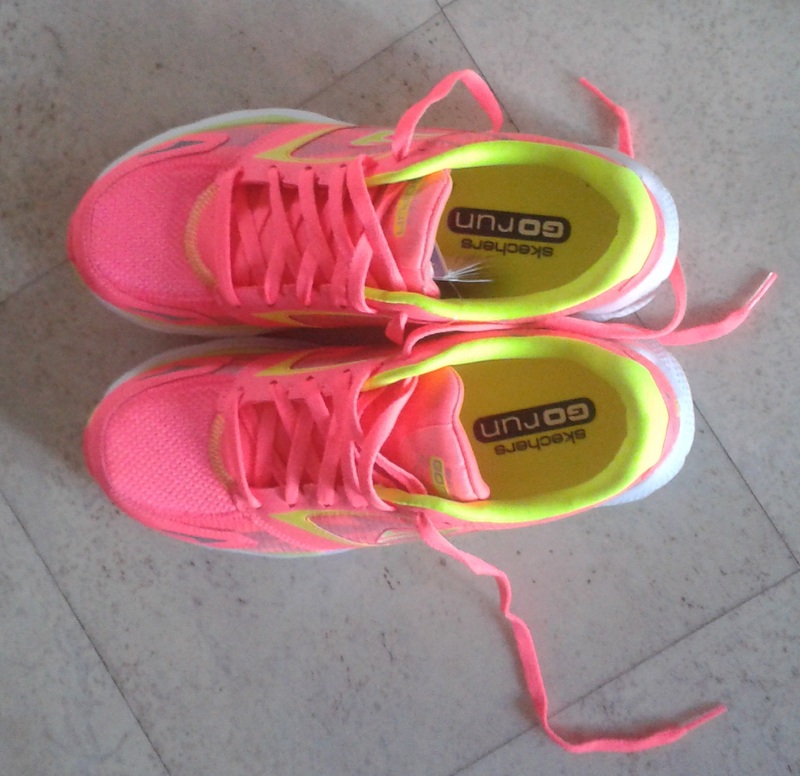 So, thus far the Skechers GOrun Ultra are still my favorite running shoes. Note: These shoes were not given to me for this review. All opinions are my own and I’ve logged about 50 km on them so far. Running in the cold, or not.